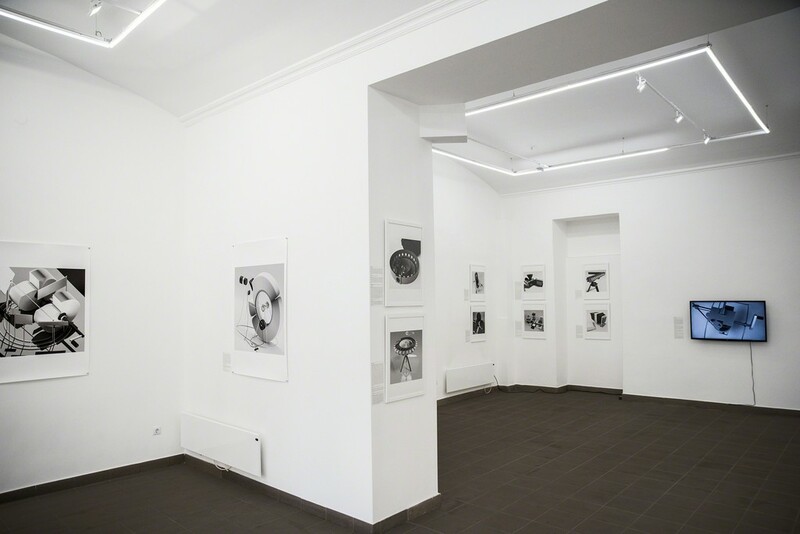 Tamás Waliczky’s first solo exhibition at the Ani Molnár Gallery presents his latest black and white 3D computer-graphic series, which shows imaginary photo and movie cameras as well as projectors. The series entitled, Cameras is based on real cameras, long forgotten 19th Century machines or on entirely fictional instruments. The structure and construction of a camera is largely influenced by the way we see, how we picture the world. By creating images of unique devices, Waliczy is able to map and simulate the world in various visual languages, with it comes the opportunity to design more sensitive machines which are based on an individual’s perception or on the accidental. The images of these fictional cameras depict special and extraordinary mechanical creations and using them . requires special skills. 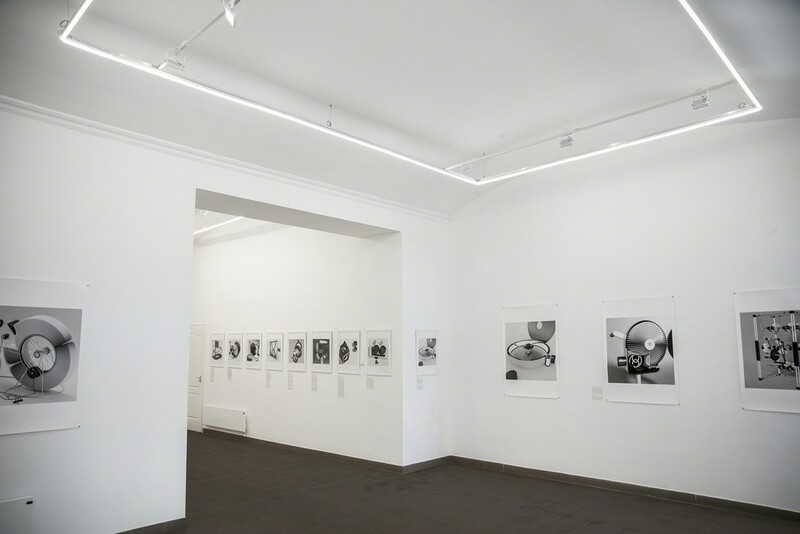 Accordingly, most of them would create images which are far from the familiar, suggesting that the practice of photography is an intimate and playful operation. 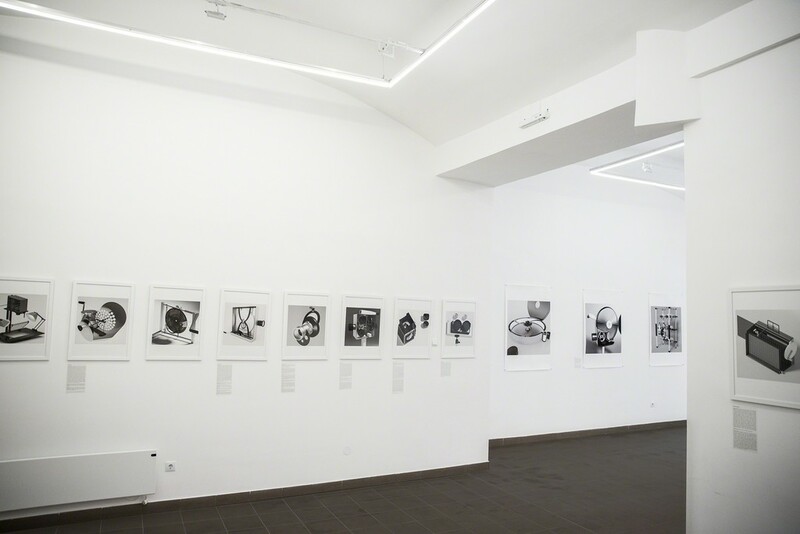 Tamás Waliczky’s Machines series from 1989 is also part of the exhibition. The artwork received the Golden Nica Award of Ars Electronica. The three-piece early computer-graphics is a forth runner of the Cameras series, hence it deals with seeing, optical illusions and the personality traits hidden in the machines. This early series consist of black and white prints too, emphasizing its relation to the visual and tonal world of the early burlesque films. Next to the still images, Central Shutter an early computer animation is shown withal. Its radicalism should be noted, by reason of turning the computer into an artwork. Each and every work filled the memory-space of the hard-disk, (which was very limited in those times) this way the computer’s only purpose became the projection of the image. As opposed to photography, which represents the existing world, the image created by the computer is virtual. In the case of this artwork, when the shutter opens, only darkness can be seen and the portraiture of the artist is only visible, when the shutter closes. The exhibition which embraces the artists early and latest artworks raises one of Waliczky’s most relevant questions, which also interweaves his artistic practice: How do we see? This question is explored by the invention of virtual optical devices. The selection of imaginary cameras and projectors show the diverse possibilities of image-making through still and moving images. Tamás Waliczky (1959) was born in Budapest, lives and works in Hong Kong. He is an internationally renowned media artist, who has been working with digital art from the beginning of the 80’s. He has received numerous prizes, including the Golden Nica Award of Ars Electronica Festival in 1989. He has exhibited in major institution worldwide, his works can be found in the collections of the Pompidou, MOMA, the ZKM or the ACMI. Tamás Waliczky’s project Cameras - Imaginary Cameras and Other Optical Devices has been selected to represent Hungary at the 58th Venice Biennale in 2019.